Singers.com - Harmony Arrangements of Wordless songs. 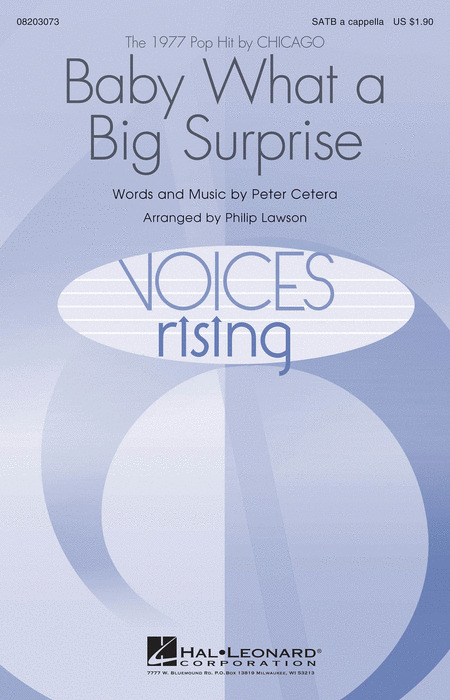 Six world-famous opera overtures arranged for SATB choirs with a sense of adventure. Sung entirely on nonsensical "dops" and "bops," this fast-paced musical collage is guaranteed to both entertain and educate! Includes snippets from: Fidelio, The Barber of Seville, Die Fledermaus, The Magic Flute, The Marriage of Figaro, and William Tell. The weather, the most quintessentially English of topics, was the inspiration for Bob Chilcott's Weather Report, written for the BBC Singers. Chilcott weaves together a tapestry of well-known weather rhymes to create a work that is energetic, quirky, and entertaining. His choral writing is inventive and full of character, using layered rhythms and jazzy harmonies. This is a fun piece to perform, and perfect as a light addition to any concert programme. "Jing-ga-lye-ya" has been an instant success for everyone who's tried it. Using nonsense words, it is rhythmic and upbeat, and uses cyclical repetition in the parts creating an incredibly catchy groove! A must-see. "La-ba-lin-da" - This gentle, lilting song is flirtatious, with a swinging Latin beat. "Simba Samba" Here we go! This is a Latin-style romp. Women will be swinging their hips and men will be looking ever so suave! (At least that's the theory.) "Binga Bango" is another up-beat and exciting piece from Bruce. Perfect for High School or community choirs. Doo was commissioned by the Fourth International Choral Symposium held in Sydney. The themes of this piece was inspired by a documentary on children in Bosnia during the war. They were playing on the exciting but dangerous side of the street while their mothers called them to go home to comparative safety. Nonsense syllables were chosen for the children's games while strong rhythms in the mixed chorus represent the war. The six solo voice ensemble is used to express the calling of the mothers. The location is not specific as war continues in many parts of the world with children suffering the most. Dreams is in many ways a sister work to Bergman's Lapponia, particularly in terms of the sound material it uses. However, the atmosphere of the world it inhabits is more intangible and dream-like, as its name suggests. Text: wordless, duration 13 minutes. Voice Dance, a wordless vocal dance celebrating the human voice and the joy of singing together is perfect for any occasion. Written for nationally-known jazz educator, arranger, and vocalist Jennifer Shelton for her marriage to well-known drummer Steve Barnes, this composition will teach your ensemble blend, alternative time signature as well as the freedom found in singing together. A musical challenge your students will love. Voice Dance II, continuing the wordless vocal dance celebrating the human voice and the joy of singing together. Bright with bounce and musical joy, this piece is perfect for any occasion. VoiceDance III. Greg has created a wordless vocal dance that has an African feel full of rhythmic, percussive and forward-moving vocal expression. Use of repetitive lines allows this work to be learned rather easily. Outstanding for festivals, concerts and even multicultural events! VoiceDance IV Soft consonants fill the jazz syllables while the energetic music of rhythm and vocal textures paint an incomparable picture of vocal sound. The piece is made up of repetitive phrases and sections, so learning is easier than imagined when first hearing this extraordinary choral. A wordless, a cappella celebration of the human voice and the joy that comes from singing together. This joyful celebration of the human voice is wordless except for "Imba wimbo wakona" which is Swahili for "sing songs forever." A great showcase for jazz and pop groups! Exciting! Meredith Monk is an acclaimed composer, singer, director/choreographer and creator of new opera, music theater works, films and installations. A pioneer in what is now called "extended vocal technique" and "interdisciplinary performance," Monk creates works that thrive at the intersection of music and movement, image and object, light and sound in an effort to discover and weave together new modes of perception. Here are a cappella arrangements for mixed voices of some of her works that will challenge and reward. These original pieces incorporates a multiplicity of multicultural influences, from Peru to Scotland. The text is a sequence of nonsense syllables, imitating the humming and muttering one does during housework. The first movement explores various hemiola patterns culminating in vocalized drum patterns modeled on Arabic and Indian traditions. The second movement, whose slow groove is derived from Reggae, incorporates tonalities and scale structures from Brazil and Lebanon. The final movement starts in Peru, and works upward through Latin America only to discover a hitherto unexplored Mexican/Scottish border. Lots of fun to both teach and sing! Steve Sidwell : Honda Civic "Choir"
The famous jazz piano piece "Linus and Lucy' by Vince Guaraldi is often featured on the animated "Peanuts" television specials, making it extremely popular for many generations of fans. 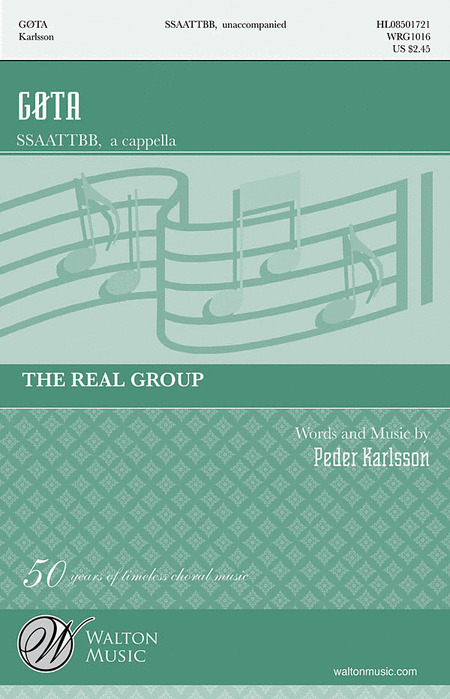 It is now available as an a cappella choral for use throughout the year, especially the holiday season. Challenging, yet accessible, this piece is a surefire novelty hit with your audiences for many years to come. "Chanson D'Amour (The Ra-Da-Da-Da-Da Song)" is the title song of one of the King's Singers best-sellling albums in a fanciful arrangement by Paul Hart. "Golliwogg's Cake Walk" - You've heard the a cappella version of this Debussy piano piece (famously recorded by the renowned Swingle Singers) on Glee. Here is a more accessible setting that will be lots of fun to rehearse and perform, and impressive in performance! "New York VoiceDance" - If you have enjoyed Greg Jasperse' VoiceDance series, you will love this new addition written for the all-camp choir at the New York Voices Vocal Jazz Camp. A dance of joy and celebration, this new VoiceDance gives the opportunity for improvisation and percussion with Greg suggests several ways to perform the piece, making it adaptable for different choirs and performance times. Stunning in its creativeness and choral excellence. 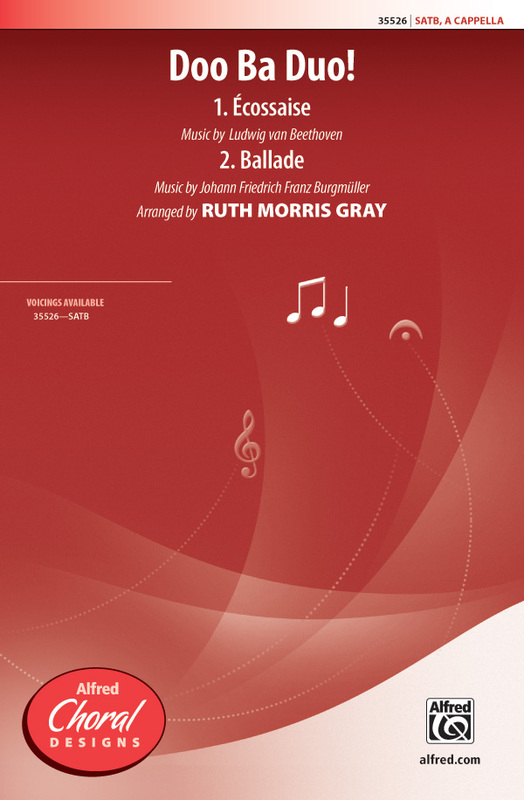 The top-selling VoiceDance, first in the SATB series, is now available for women's voices in an exciting SSAA voicing. Now treble choirs can experience the rhythmic fun and challenge of this unique vocal jazz classic! "Bumble Bee" - Shape this song to your own needs! Arranged and performed by the incredible Real Group! It is written for high school women's voices, but the optional TB line makes it a SSAATB setting for mixed choir. You may have optional guitar and electric bass play the TB part. Or let loose your vocal jazz ensemble! The flowing melody with text about nature's every day wonders requires some extra attention to rhythms, phrasing and dynamics - but it is all worth it! "Soul Bossa Nova" is not for the faint of heart! The Quincy Jones instrumental used in the Austin Powers' movies has been adapted to an a cappella vocal setting that really cooks and will totally wow your audience! Bailando is the gerund of the Spanish word, "bailar" which means to dance, move rhythmically to music, as well as to skip or bounce in a dance-like manner. This arrangement by Greg Jaspere id bound to get everybody swingin' along. "O Sapo" - In this irresistible Brazilian song setting, vocal lines imitate percussion patterns to create a truly infectious groove. "Gota" - The music line and wordless vocal jazz treatment fuses with ethnic folk music in a truly original way. A true 'performance piece' and favorite in the repertoire of Swedish vocal giants The Real Group, Gota has quickly gained recognition world wide. For vocal jazz oriented high school and beyond. 'The Barber of Seville Overture' has been a long-time favorite in King's Singers concerts. From the subdued opening theme in the "strings" to the rousing "full-orchestra" close, this instrumental work is creatively brought to life - King's Singers style. Challenging, but well worth the effort. 'Voice Dance,' and 'Voice Dance II' are wordless vocal dances celebrating the human voice and the joy of singing together is perfect for any occasion. Written for nationally-known jazz educator, arranger, and vocalist Jennifer Shelton for her marriage to well-known drummer Steve Barnes, this composition will teach your ensemble blend, alternative time signature as well as the freedom found in singing together. A musical challenge your students will love. It's hard to keep a straight face while singing this hilarious novelty arrangement of 'William Tell Overture' for "serious" choirs. Sung entirely on syllables which imitate the sounds of Rossini's original orchestral percussion, brasses, and woodwinds, this one will be best when performed tongue in cheek. And from the initial fanfare to the final cadence, seasoned choirs will sound great on the full chords and percussive "Lone Ranger" themes. 'Tango to Evora' was masterfully arranged by Vancouver Chamber Choir conductor Jon Washburn. The sensual but innocent tango melody in the choir gives an expressive background to a 'floating' soprano solo. A fascinating and fun set of wordless songs by the Hungarian master. The pop hit by Peter Cetera for the group Chicago soared to the top of the charts in 1977 and has retained its popularity even to the present day. This a cappella setting features a wordless tapestry of vocal harmony that showcases the smooth melody as it moves from part to part. Duration: ca. 3:20. This wordless vocal jazz piece is a new original. Music by Jack Donahue and New York Voices member, Peter Eldridge, this bossa nova work includes rich harmonies with idiomatic Brazilian syncopations. Arranged by Peter and fellow NYV member, Darmon Meader, this recording of Chamego (Betty's Bossa) is from the New York Voices recent CD release, A Day Like This (permission granted by MCG Jazz, www.mcgjazz.org). Ruth Morris Gray : Doo Ba Duo! This pair of novelty nonsense-syllable settings is fine fare for choirs with a fondness for funny! Easier to achieve than similar songs, these Classical era tunes guarantee a chuckle. Performs well as a set or as individual pieces. Here is the famous theme from the motion picture The Mission by Ennio Morricone in a distinctive and stunning setting written for the choral group, Conspirare. With the choir providing a rich wordless tapestry of sound, the featured duo of cello and oboe will create an atmosphere of pure magic! Duration: ca. 2:20. 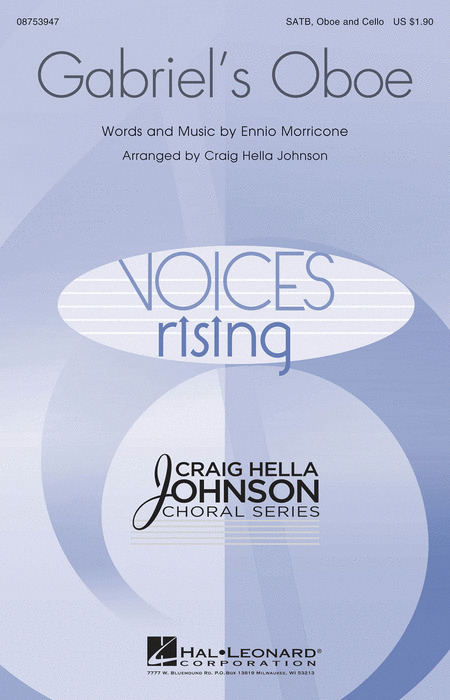 Recorded by Conspirare, Craig Hella Johnson, conductor. Commissioned for the 2012 London Olympics, this work for treble chorus is primarily wordless, apart from the short Latin phrase Gloria in Londinium, invictus, invicta to symbolize the coming together of athletes and artists from around the world. The effect with innocent young voices is enchanting! Available separately: 3-Part Treble. Score and parts (hn, tpt, tbn, timp, cymbal, tom-tom, bass drum, taiko, vn, vc) available as a digital download. Duration: ca. 3:50. Commissioned for the 2012 London Olympics, this work is primarily wordless, apart from the short Latin phrase Gloria in Londinium, invictus, invicta to symbolize the coming together of athletes and artists from around the world. The effect with innocent young voices is enchanting! Pronounced 'geu-ta' (hard 'g') - has its name from the Faeroe Islands in the Northern Atlantic. The music line and wordless vocal jazz treatment fuses with ethnic folk music in a truly original way. A true 'performance piece' and favorite in the repertoire of Swedish vocal giants The Real Group, Gota has quickly gained recognition world wide. For vocal jazz oriented high school and beyond. Jackson's Carol should be sung with childlike simplicity and joy. It is the song of a wordless child. A wordless, a cappella celebration of the human voice and the joy that comes from singing together. Exciting! This joyful celebration of the human voice is wordless except for "Imba wimbo wakona" which is Swahili for "sing songs forever." A great showcase for jazz and pop groups! Bohm bayo, wayo, bohm bye ah. Written for young singers, this joyful wordless original is an optimistic celebration of life! 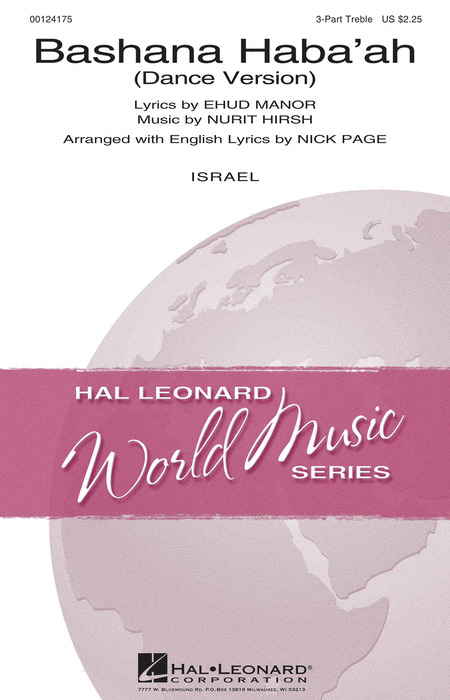 Easily learned, it will thrill your singers and listeners!Available separately: 3-Part Mixed and 2-Part. VoiceTrax CD also available. Performance Time: Approx. 2:10. Discovery Level 2. This famous jazz piano piece by Vince Guaraldi is often featured on the animated "Peanuts" television specials, making it extremely popular for many generations of fans. It is now available as an a cappella choral for use throughout the year, especially the holiday season. Challenging, yet accessible, this piece is a surefire novelty hit with your audiences for many years to come. The melody of this traditional Irish folk ballad begins in unison and then cascades into a contrapuntal wordless vocalise that mirrors the imagery of the text. Beautiful a cappella harmonies are created from beginning to end, expressing a dialogue of love and joy - a wonderful opportunity for poetic exploration of meaning. You'll please all the jazz aficionados in your crowd with this mesmerizing setting of the Miles Davis classic. The wordless syllables create a colorful palate of imaginative textures and vocal sounds. 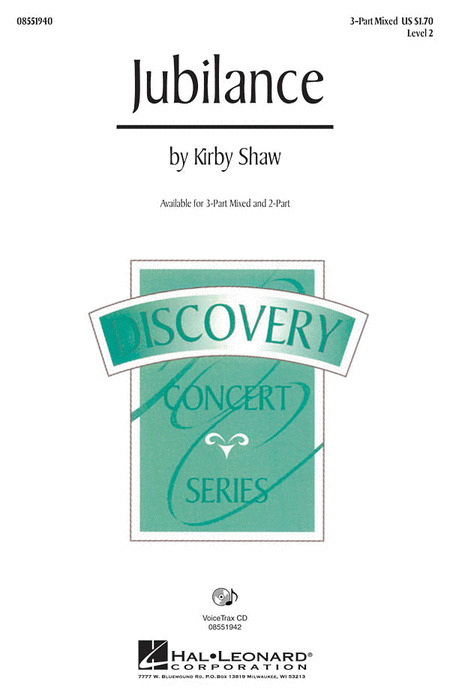 Available separately: SATB, ShowTrax CD. Rhythm parts available digitally (pno, gtr, b, dm). Duration: ca. 4:00. The American composer William Schuman (1910-1992) wrote works in virtually every musical genre, each mirroring his strong personality in their sharply defined sense of structure, line, and dynamism. This short wordless composition for women's chorus and piano dates from 1942 and was written for the Sarah Lawrence Chorus. Russian composer Sergei Rachmaninoff's beloved Vocalise for voice and piano is one of 14 Songs, Opus 34 written between 1910-1912. The uniquely wordless and lyrical melody lends itself perfectly to treble unison singers. Duration: ca. 4:00. Performed by Anima-Young Singers of Greater Chicago. Emily Ellsworth, conductor. Voice Dance, a wordless vocal dance celebrating the human voice and the joy of singing together is perfect for any occasion. Written for nationally-known jazz educator, arranger, and vocalist Jennifer Shelton for her marriage to well-known drummer Steve Barnes, this composition will teach your ensemble blend, alternative time signature as well as the freedom found in singing together. A musical challenge your students will love. 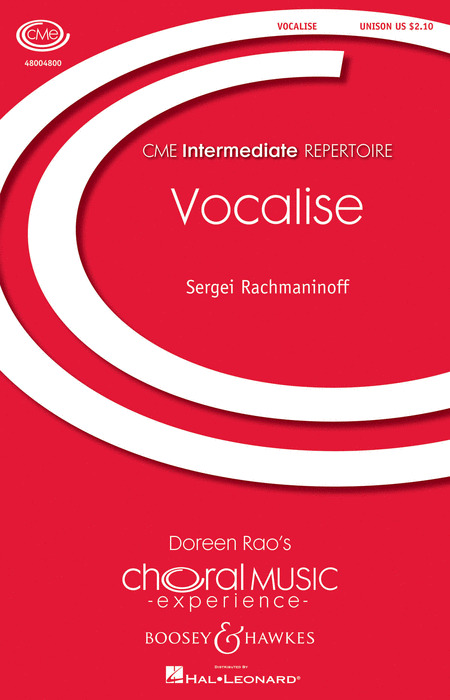 The top-selling VoiceDance, first in the SATB series, is now available for women's voices in an exciting SSAA voicing. Now treble choirs can experience the rhythmic fun and challenge of this unique vocal jazz classic! VoiceDance III. Greg has created a wordless vocal dance that has an African feel full of rhythmic, percussive and forward-moving vocal expression. Use of repetitive lines allows this work to be learned rather easily. Outstanding for festivals, concerts and even multicultural events! Soft consonants fill the jazz syllables while the energetic music of rhythm and vocal textures paint an incomparable picture of vocal sound. The piece is made up of repetitive phrases and sections, so learning is easier than imagined when first hearing this extraordinary choral. The series continues with the fifth installment in this vocal jazz triumph. The inimitable, Greg Jasperse creates a fresh, 6/8, a cappella magic of harmonies and melodic turns as only he can do. Vibrant, vocal textures fill this choral work. A must for all vocal jazz groups to really shine! Chinese-born Huang Ruo is a bright new presence on the contemporary music scene. In this work for chorus and semi-chorus, finger bells and gently shifting harmonic textures create an atmosphere of contemplation and reflection. Performance time: Approx. 6:25.